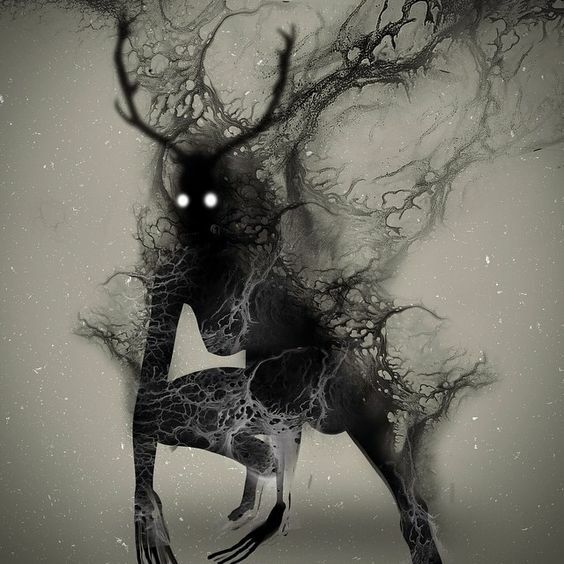 If you’ve not heard the news—my story “Wendigo” has won first place in the Toronto Star Short Story Contest! (You can read it here!) Now in its 38th year, this is considered one of the largest such contests in Canada, so that’s very exciting. Especially since while “Wendigo” asks a lot of difficult questions about art and artists…it’s also a straight-up fantasy story about cannibal ice-monsters. But hey, “Six Stories” is also straight-up fantasy about faeries and folklore figures—and it got Ontario Arts Council funding. I seem to be doing well with Canadian cultural institutions this year. It’s interesting—in the three (?!) years since I finished my undergrad, I’ve gotten a taste of the creative life’s feast-famine cycle. Admittedly, it’s a baby taste. Full-time writing with training wheels. Still, it’s good practice. Most people take dayjobs. I’m lucky enough that mine directly feeds my writing. I’m also lucky that I’m happy there. It’s a double-edged sword, though, because it’s seasonal. Eight months = guaranteed paycheque. 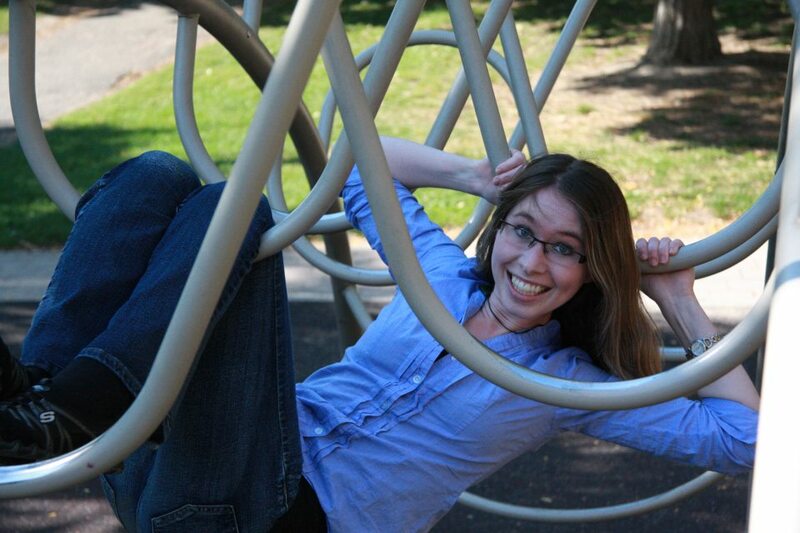 Four months = KT makes a go as a full-time writer. As long as my year-round writing can cover that off-season, I’m happy. Partly, it’s a matter of pride. I want to be able to say that my writing keeps the rent paid and the fridge full. And the uninterrupted four months of creative time are important to me. I don’t want to have to take a serving/retail job to make ends meet. 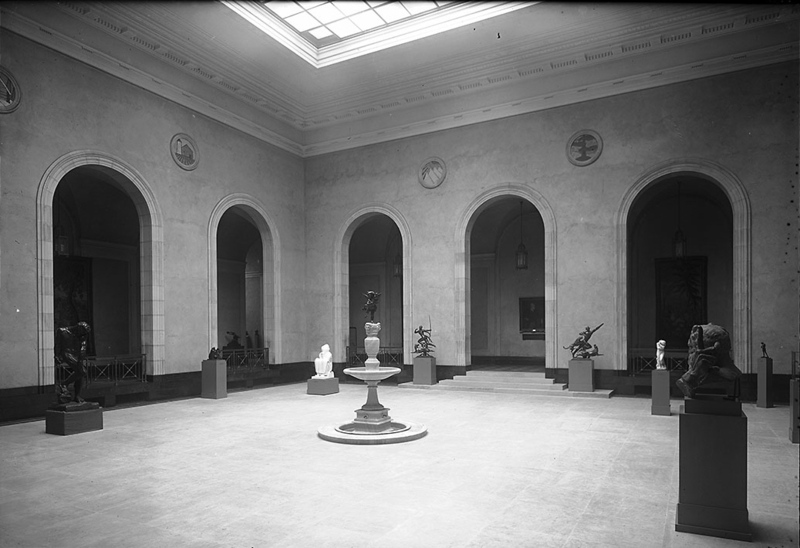 I’d write less, and the goal is to write more—to eventually hit the point where I don’t need the museum. So, you lay out what’s important to you. What you’re willing to compromise on (I’ll take on extra responsibilities around the house for cheaper rent) and what you’re not (I really don’t want to take a serving/retail job). For me, I’ve made the current arrangements work for three years. But I’ve been crazy lucky. This was a feast year. 2014 was a feast year (Yeti’s Parole Officer and the East o’ the Sun libretto saved my bacon). Last year was a famine. There weren’t really any editing gigs. No major projects. No big sales. I’d squirreled some of my libretto paycheque away, so I survived, but I’ll admit that the wolf got a little close to the door. Then last fall, a number of things hit at once (I’ll miss my Stonecoast pals, but not the tuition) and I heard stealthy paws under the window again. …or maybe it was just the little monster. Feast and famine. For a long-range planner—a planner who needs a back-up plan, always, just in case—it can be maddening. Creative work is uncertain by nature. You can’t predict when the next feast will come, how long the next famine will last. Even when you do get lucrative projects, you can’t always guarantee when you’ll see the money. Advances come in lumps. For freelance gigs, I usually get paid half upfront, half on completion. Uncertainty is the nature of the beast, but you can prepare as best you can. I have an emergency fund: rent and living expenses for a few months. Beyond that, I’m careful with money when it does come; always anticipating another stretch of famine. I’m thinking about what I could jump on right away—what contacts I could tap, what gigs I could land, what I could pull together quickly, if needed. And yes, I’d totally pick up another day-job if necessary. Of course I would. I like eating and paying rent. It’s another part of the writing life, one that bears careful pondering. For other takes on the business/monies end, check out these posts by my former Stonecoast mentor Theodora Goss and my pal Marie Bilodeau. They’ve much more experience at this than I do! So here’s a sentimental little piece, based on Dvořák’s New World Symphony. It always starts running through my head, this time of year. For the past few months, I’ve been doing an experiment. See, after my return from Virginia, my friend Blythe came over…and she had something for me. I immediately burst out laughing, becoming increasingly amused as I read the subtitle. She knows me far too well. The journal contains a reassuring quotation on the left-hand page, while the right hand side has space for the date, a section for writing, and a “prevailing outlook” for the day. As it happened, I’d just read Ray Bradbury’s Zen in the Art of Writing. As previously mentioned, I’d been struck by his habit of writing prose poems on whatever subject tickled his fancy and diving into his memories like a pearl fisher hunting oysters. I set myself a few rules. Free-write every day. Fill the page. 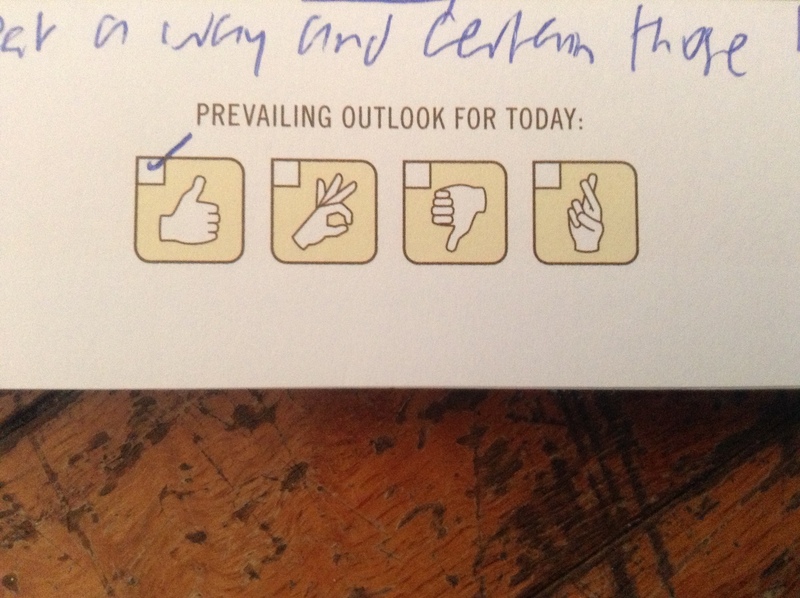 Tick the appropriate “prevailing outlook” box. From February 28th to May 16th, I only missed one day. Over the past three months, I’ve stumbled across memories and details long buried, holding them up and examining them. I had a rainbow-coloured basketball that I won in a Read-a-Thon when I was in grade two. I loved that thing. There was a shared driveway behind our house that I dubbed “the alley,” on which I bounced that basketball until its little bumps were worn smooth. I’d forgotten all about it, until now. Something that I remember very vividly: three days after my dad died, I went to Black Creek. Not to work, just to escape. I remember when my mom dropped me off, I practically threw myself from the car before she’d even really come to a full stop. I remember that weird crouching run to the front doors, fighting to keep my balance. Fiji’s reddish-brown dirt. The pixelated neon-green frog in a kindergarten computer game. The sense of unbridled freedom when we “went out for lunch” in grade six. The scent of pines that permeated the fort I made for myself (aged nine) in our garden. 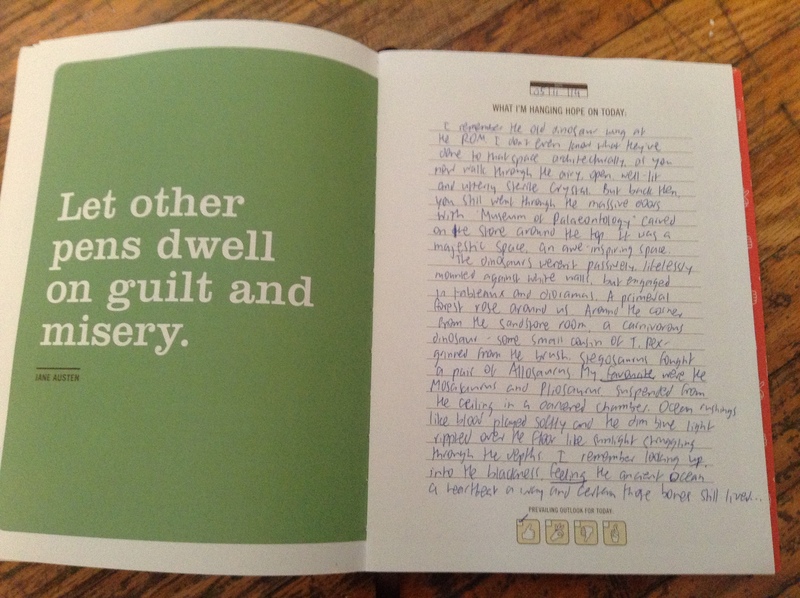 These written meditations have unearthed a treasure trove of details. Maybe some of them will emerge in my fiction, maybe not. But there’s been another benefit, too. I usually wrote in my journal over breakfast. First it became habit. Then it became necessary: a way to collect myself before facing the day ahead. It usually only took ten minutes to fill the page, but they were ten minutes of peace and stillness, ten minutes when my brain shut up and got out of its own way. They’re almost all positive. There are a few “fingers crossed” ones, but mostly, it’s thumbs-up or a-okay. The only thumbs-down I could find was also the only day I ticked two boxes. 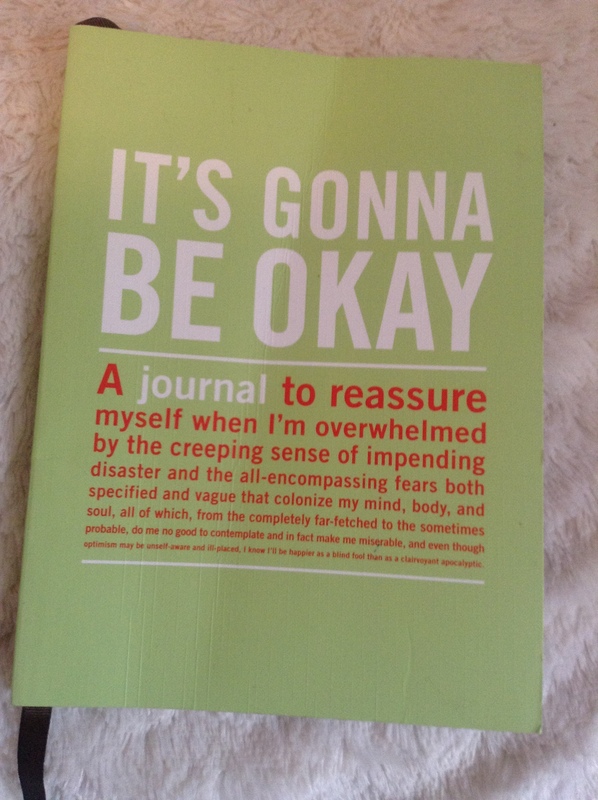 That day, I was a-okay in general, but also stressing about something very specific. That means three months of feeling good. There is definitive proof that for three months, I’ve felt good about life almost every single day. Seeing it concretely like that…well, it’s an eye-opener. In a good way. I’ve filled the journal now. I’ll keep free-writing anyway, in a new notebook. It’s become a game: what can I remember? What can I dredge up? How specific can I get, how far back can I go? It’s a chance to relive and revisit, to keep myself on track. After prolonged despair that we were trapped in perpetual winter, the unfurling leaves became really noticeable this week. On my walk to the subway each morning, I go up a tree-lined street. The leaves are delicate and fuzzy still, but the street is suddenly green, not the barren, spiky brown it’s been for the last six months. Give it a few more weeks. It’s only going to get better. 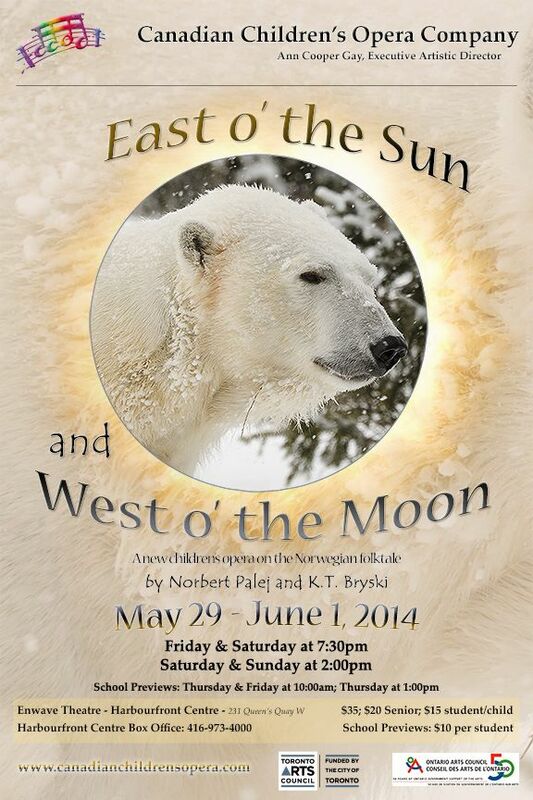 Last night was the first time I got to hear scenes from East o’ the Sun and West o’ the Moon performed by the kids. Thank goodness I made it out in the end. 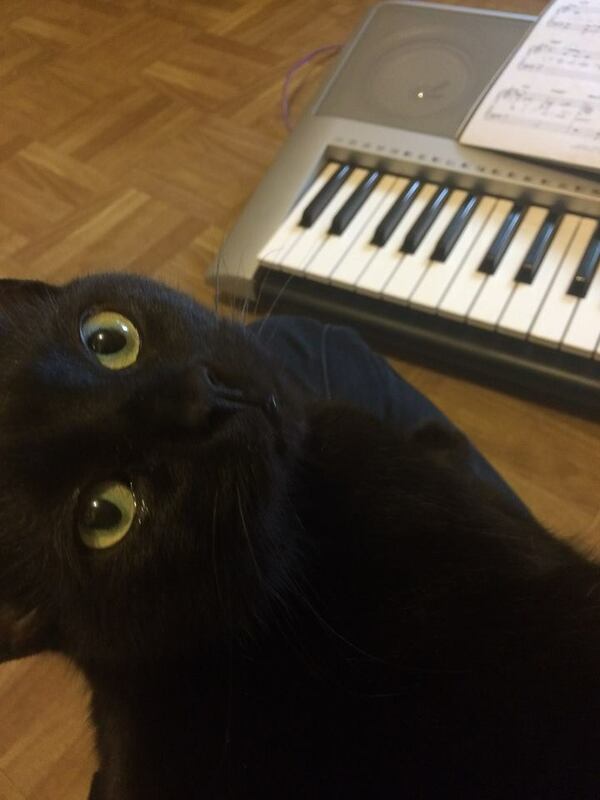 My synthesized score gives some idea of the music, but really, it has nothing on the human voice. Except it wasn’t just me. That’s the beautiful thing about writing for theatre. It’s never just you. 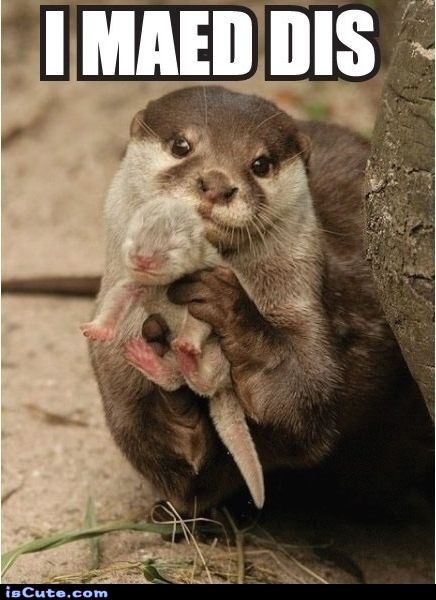 We made this. My collaborator, Norbert Palej, is a stunningly talented composer. From a gorgeous wind motif, to witty (and biting) musical jokes, to incredibly complex duets and trios, I hear something new every time I listen to it. And the kids. Man, those kids. They did it. They nailed it. Sure, this was only a few excerpts—but they got it. With accompaniment, with Norbert’s music, with the kids’ voices…it actually sounded like a real opera. Because somehow, it wasn’t real yet before. Not when I was tapping out meters on my desk while eating Jamaican patties. My own words hit me in a totally different way than they ever have before. I haven’t even seen staging, set, or costumes yet, and each of those things represents another talent. Plus there’s the direction. Plus there’s the chamber orchestra. So many different aspects, so many different people putting their work and creativity. Theatre is greater than the sum of its parts—its magic comes from this synthesis. And for me, experiencing my words brought to life—whether through a straight play, a podcast, an opera—is a high unlike any other. Even…and I almost hesitate to say this…even a book launch, or seeing my stories in anthologies or magazines isn’t the same. Theatre lives. Theatre breathes. Theatre does different things than printed words, unlocks and punches a different part of my brain. Yes, I write novels and short stories. Those will likely comprise the bulk of my writing. But as long as that magic remains in the theatre, I suspect that I shall always write for the stage in some way. There’s so much strength, potency, and love in collaboration; how could I not? Now to prepare myself for that opening night energy. Just under three weeks until premiere. Obviously, this bear. This is one of 100 polar bears made by the CCOC. 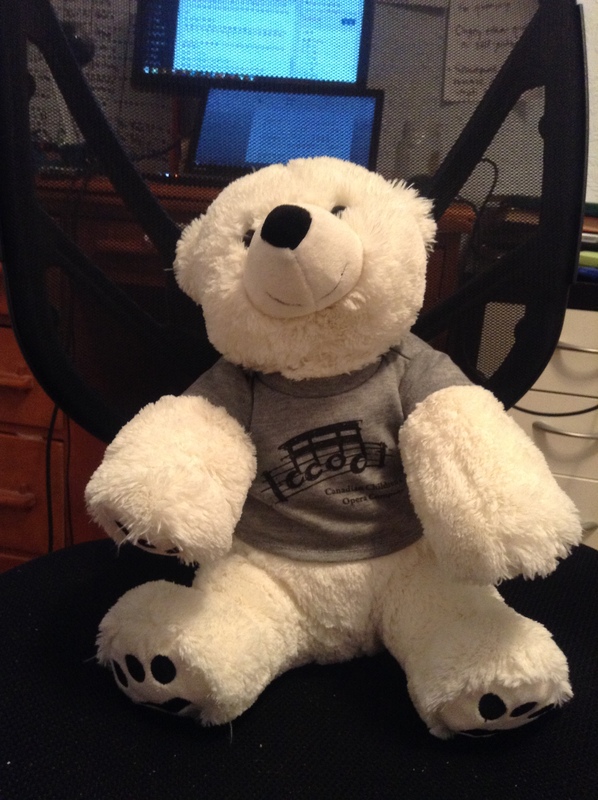 He is the polar bear from East o’ the Sun and West o’ the Moon, and he’s wearing a t-shirt with the CCOC logo. And he sings music from the opera. The kids recorded a short segment that plays when you squeeze his paw. This bear freaking sings words that I wrote! This is one of the coolest things I have ever seen. I’m still in shock, actually. Edits for the Victorian Dark Fantasy continue apace. After weeks of poking at it every so often, it’s like the pressure in my head has built up to that point where I no longer have any say in the matter. All good books are like that, I find. You hit the point where writing it stops being a choice—you have to. Which is a good thing. A very good thing. There are some pretty deep edits here; nothing that actually changes the story that much, just reordering of scenes and characters that are a little tricky to effect. This isn’t editing with a chain-saw; it’s performing delicate surgery. One of the major changes? Swapping one of the POV characters. The Victorian Dark Fantasy is written from three first-person point-of-views: our heroine, the villain, and our heroine’s husband. Only then I realized that the husband’s sister actually has more at stake and a more interesting/pronounced character arc…from a craft and structural perspective, it made more sense to have her narrate. 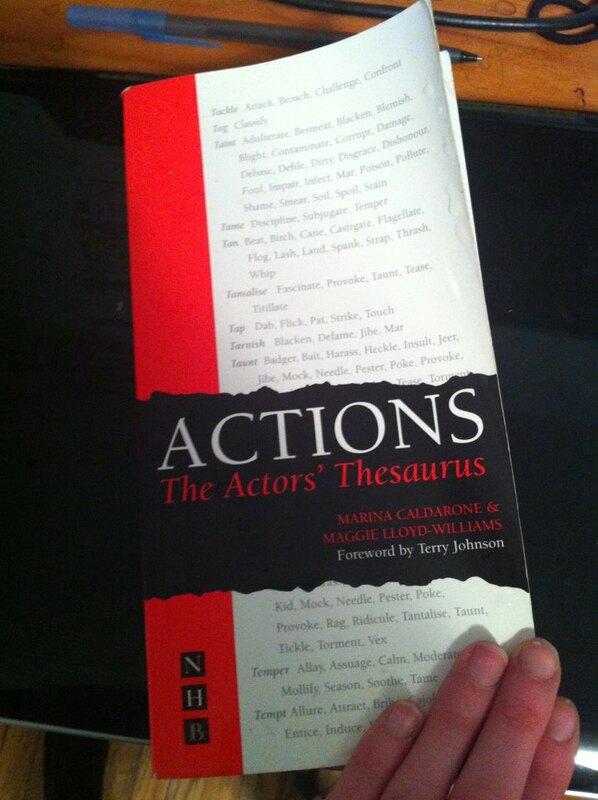 Here’s the thing, though: it’s not as easy as going through the husband’s scenes and switching pronouns. (She looked at me quizzically > I looked at him quizzically) We’re literally seeing the scene through a new pair of eyes, which means that every single detail gets interpreted differently. Voice changes substantially. It should, anyway. You, me, Bob down the street, we all have different takes on the world and a unique ways of expressing ourselves. Charlotte’s more tightly-wound than her brother. Throw in some high-stress situations, and she becomes downright prickly. Which tends to manifest in a harsher, more sardonic tone than we previously had in those sections. It’s kind of like dialect and accent. There’s an external stimulus; how does your character take it in, make sense of it, and then express it back to the world? Unlike in omniscient POV, where you can dip into multiple characters’ heads in a single scene, first-person and third-person limited narrators can only relate their own thoughts. This is hugely fun. Maybe I’m just a jerk, but I sometimes enjoy using POV limitations as almost a sleight-of-hand. Sort of a she-doesn’t-know-he-knows-she-knows thing. But the point is, I’ve had to edit out the husband’s thoughts and replace them with external action. Same thing with Charlotte. Same scene, same dialogue, same actions, two POVs. In the second round, we see Charlotte’s thought process in asking after Ned. We see Ned conflicted over something, but because we’re not in his head, we don’t know what (which might be a problem later on…did I mention that I’m a jerk?). Likewise, in the first version, Charlotte goes to check the fire. When she’s narrator, we see the reason why. I was pretty proud of this little epiphany. Seriously, learning that actors attach a verb to every bit of dialogue has helped my writing more than I ever thought possible. What does it mean, though? Basically, with every action you take or word you utter, you’re trying to accomplish a goal. Think about it. We’re having a really intense discussion, you get up to open a window. Why? Maybe you’re feeling so uncomfortable, you need physical space from me. Maybe this discomfort is also having a physiological effect. Your face feels flushed, so you’re trying to cool down, as well. Both of each relate to the goal/verb: self-soothe—I want to make myself feel better. You’re at a party. Someone you like is also there. Maybe you stare down at your beverage—I want to avoid embarrassing myself. Or maybe you strike up a conversation with someone nearby, making sure everyone nearby can hear how charming you are—I want to impress him/her. When the scene is not in a character’s POV, we only see the external action. When the scene is from their perspective, we see the internal trigger/thought process as well. Rewriting these scenes has been almost like playing with audio. Some parts of Ned’s track get muted; Charlotte has no way of “hearing” them. Conversely, some of Charlotte’s levels get brought way up; if we’re in her head, they have to be prominent. There is a strong temptation to not do this. After all, the scene has played out already; Charlotte and Ned have made their choices as to what they’re doing and saying. Restart. Let the scene play out again. Let it go differently. First scene: Ned’s checking out the mysterious curtain that divides the worlds, Charlotte’s keeping him safe. Which was cool when it was his POV. But tell me, which is more interesting—a mysterious curtain, or making sure your sibling’s still breathing? Yeah. I thought so. In the edits, Charlotte got the interesting action (because POV character), which necessitated some dialogue switching. A little rephrasing to match each character’s voice, but really, no big deal. This is actually really fun. I’ve loved getting to know this character better. And I’ve loved writing some new solo scenes for her. So much more interesting than swapping pronouns! ALSO: Cool thing of the week! Remember how I fell in love with The Star of the County Down? I found this image of the song’s heroine. 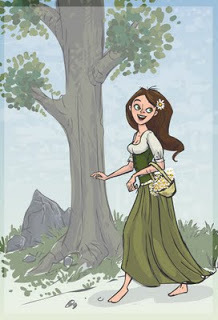 If anyone ever turned this book into an animated Disney film, this would be Mairi. Spring Cleaning on the Site! You may notice this site looks different. Oh man, this overhaul was so incredibly overdue. I’d not been happy with this blog for…well, too long. The tipping point came when I looked at the banner on Tee’s site and realized, “Wait a second – I know how to do that now. I could do that!” The roomies and I attacked our house pretty good for spring cleaning, so why not go after my online home the same way? Besides, I figured it was about time to think about the future, and this site was looking a little antiquated. You guys, I’ve been blogging here since I was twenty. I’m 23 in a few months. Also, while I tend to start adding a year onto my actual age about three months before my birthday, this year has been worse – in my head, for reasons unknown, I’m suddenly 24. Because I’m crotchety like that. I know that if I say, “I’m getting old,” I will be smacked six ways from Sunday…but time is passing. I’m getting older (happy?). So I sat down and had a good think. And also, some ginger slice. What directions am I moving in now? What are my plans for the rest of 2014? What do I want to write? I keep coming back to the Victorian Dark Fantasy. Ye gods, I had SO MUCH FUN writing that. I’m having SO MUCH FUN editing it. And then, there are vague stirrings of another Victorian-ish world rumbling ’round the back of my head; something set in Magical 1870s Toronto. 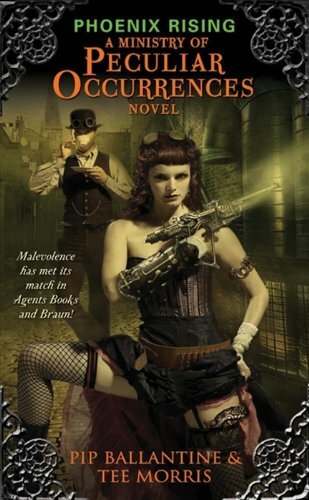 And then, there’s the steampunk…. So I think we can safely say that Victorian-flavoured fantasy is a persistent preoccupation for me. 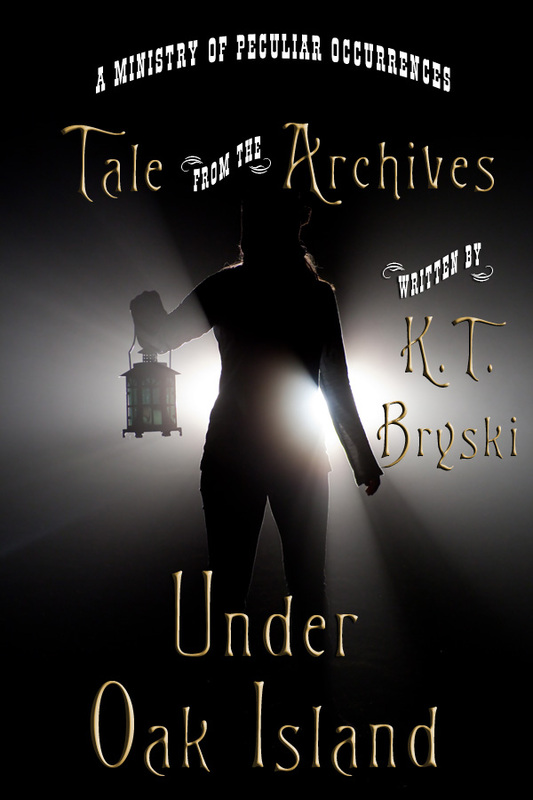 Bearing that in mind, I started looking for cool fonts (Tales from the Archives has its own font; I wanted one, too!). Looking through them all…I imagine it was very much like when normal people go dress-shopping. I got to try on all sorts of different ones, searching for the one that felt right, the one that said…me. Or KT Bryski. Either way. I liked this one. See, isn’t it cool? Also, while it’s wayyyyy too early to make anything like these…I made these. The Victorian Dark Fantasy makes me too excited. Which means that more short fiction is on the books (heh) for 2014 as well. The more I do it, the more I like it, and I’d like to have more than three in my repertoire. Doesn’t matter if my streak continues (and it won’t – my supply of horseshoes is going to run out eventually), I’d just like the experience of having written them. Plus, over the past two years, I’ve started doing other stuff. It’s important, I think, for us to remember the things that don’t fit in the usual box we assign ourselves. I write a beer blog. I do freelance editing (for reasonable rates!). Apparently, I write opera libretti and games. Yeah, I was a wee bit surprised by that, too. One of my big fears of leaping into writing so early was that I’d have one story in me – flash in the pan, young author, didn’t live up to her potential. Who knows? But right now, I feel stable and supported, and I’m raring to go. The last of the winter detritus has been swept away, and this weekend is kind of about rebirth anyway, right? Between two internships, Stonecoast, and my own writing, it’s been a busy week. 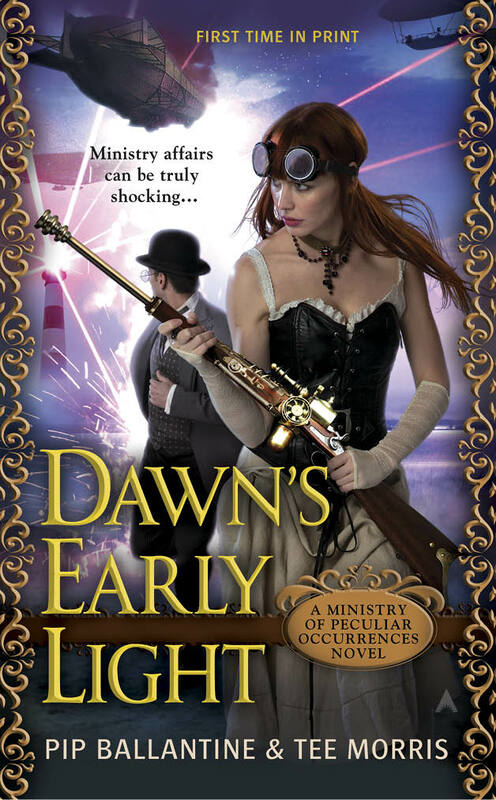 And it’s only going to get busier, because DAWN’S EARLY LIGHT is out on Tuesday! I haven’t been this excited (or this obsessive) since the release of HAPAX. About halfway through my stay in Virginia, Pip and Tee tossed me an ARC and said, “Yeah, you should probably read that.” Now, I’d been eyeing the giant flipping box of ARCs in the basement since the day I arrived, but I was too nervous to ask for one. But once it was in my eager little hands, I settled myself on the couch with a contented sigh. Or something like that. Eliza was enjoying her first real taste of American “hospitality,” which happened to involve a fight scene, and it was very exciting. I wasn’t really listening. So I finished the chapter and closed the book with a dramatic, exaggerated sigh. Of course, I was happy to do more layout work—I’d never actually be obstinate with my hosts and mentors. But still…those first five chapters had woken a weird, persistent itch. I’d left Eliza contemplating a new revelation, and she and Wellington needed to actually communicate with each other because the tension between them was driving me slowly but surely mad, and I was very aware of mines planted in earlier chapters that were waiting to go off later in the plot (metaphorical mines—it’s always a good idea to specify when dealing with Eliza D. Braun). I needed to read more. After dinner, instead of writing, I settled on the couch again. 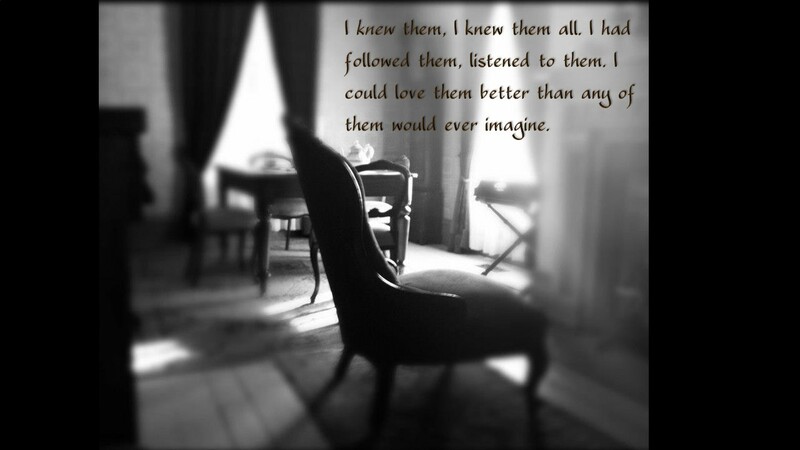 It was lovely and quiet, with Pip and Tee tapping at their own laptops and Sophia del Morte watching and plotting. The next day found me back in the same spot. Pip was writing on the couch opposite me. Suddenly, I stopped reading with a gasp. I put the book down and gaped at Pip. She flashed a guilty smile. There was another book that I was meant to be reading for Stonecoast. This is where I’m responsible, set DAWN’S EARLY LIGHT aside, and do my schoolwork, right? Fortunately, she said yes. 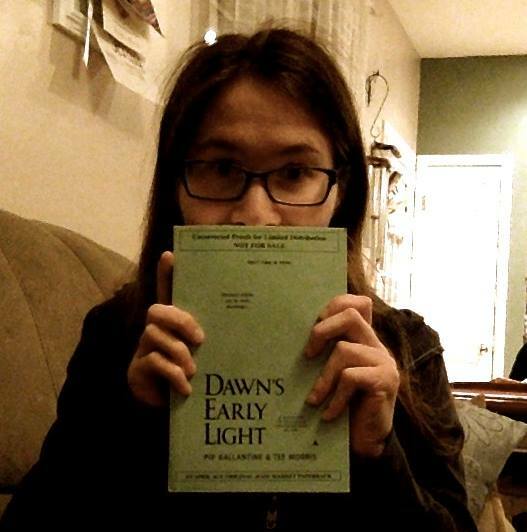 Which means that DAWN’S EARLY LIGHT was used in an academic paper before it was even officially released. The rest of the day passed in a blur of hypersteam, explosions, historical personages, and crafty (figurative) Easter eggs. 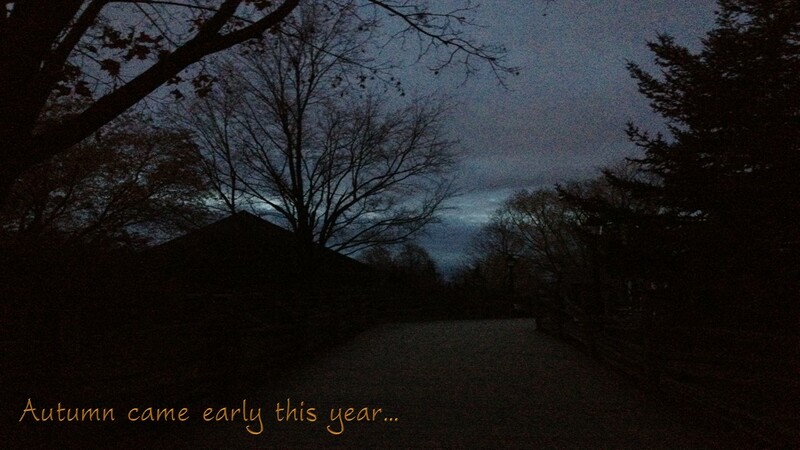 Here’s the thing, though: DAWN’S EARLY LIGHT is a lot of fun. No question about that. But there’s a real emotional heart to the story as well. During the big, climactic scene…well, my eyes got misty. That’s right. I’m not ashamed of my tears. Although I did try to be subtle about them—after all, the authors were right there. And I’m also not ashamed to admit that I just looked up that scene for reference and instantly felt like I’d been stabbed again. And for me, that’s the real strength of the Ministry of Peculiar Occurrences in general and DAWN’S EARLY LIGHT in particular. You care. You care about these characters and their world so damn much. I was nineteen when PHOENIX RISING came out, so while I haven’t grown up alongside Eliza and Wellington quite the same way I did with Harry Potter, I think that we have developed together—settling into our respective skins. As the novel ended, I could almost hear the ominous chords, the rumble of oncoming thunder. When the fourth book comes out, I’m not waiting. I’m diving into that box of ARCs the minute I see it. But I didn’t want to do that. Partly, I was nervous that it would turn into something like, “An’ den, ze deah boy wen’ doon t’crick” (I don’t even know what accent what that would be). But also, I had a theory. Fresh off writing an opera libretto and suggesting music through text, I wondered if it was possible to show cadence and speech rhythms through syntax and word choice. In my story for the Tales from the Archives podcast, Anouk Tremblay is an agent of the Québec version of the Ministry—le Ministère Officiel d’Occurrences Sans Explication (M.O.O.S.E.). 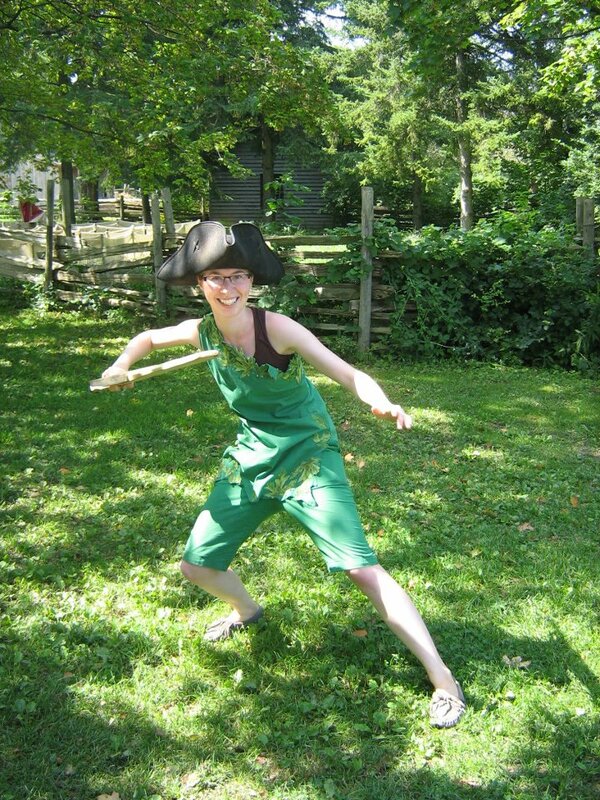 She’s a francophone, uses English sometimes at work, and speaks with a Québecois accent. For the Victorian Dark Fantasy, Mairi Brae’s got a lovely Skarrish accent—which in my head is pretty much an Irish accent. Skarrish is her first language, though she grew up speaking both Skarrish and Aldoran. Et ici, mes supérieurs ont dit, c’est nécessaire d’avoir une présence Québécoise. And here, my superiors have said, it is necessary to have une présence Québécoise. A few things. First: yeah, I left some French in there. Not much, but enough to flavour it. Second: structurally, the sentence is a little different than one a native English speaker might compose. Still perfectly understandable, just different. Think of dialogue the way your character would. How does their first language shape their approach to others? Not a construction you’d find in native Aldoran, because that tense doesn’t exist in that language. Doesn’t stop Mairi from trying to use it. Other weird things can carry over from language to language—what forms and structures is your character unconsciously clinging to? Working with anglophone Ministry agents, Anouk knows enough to replace attention with care. But “take care” still wouldn’t necessarily sound natural to her—she ends up saying, “Have care” instead. Anouk pretty much only uses English when she’s dealing with English government officials. She’s fluent, but it’s a work language. It’s similar to how students learning French in an academic setting take a long time to relax from “Bien, je m’appelle KT” to “Ben ouai, j’pelle KT.” You don’t break the rules until you know them very well—which is why Anouk doesn’t use contractions. I could probably do an entire post on Skarrish-Aldoran grammar. But for now, notice the abbreviated possessive (she’s, not she has), she’s like to (not she’s likely to) and the for to + infinitive. Overuse of the definite article (The Skarrish tale, the darkness), idiom carryover (to be sure), and overuse of the reflexive (never you mind yourself). Only to realize later that you can place the past participle after the object in Irish English (naught = object, it’s what is being spoken; spoken = our past participle). Is your character attempting word-by-word translation? What grammar/vocabulary exists in one language, but not another? How does your character’s background affect their speech patterns? Can you LISTEN to people who have your character’s accent? Criticism is part and parcel of the writing life. It’s funny, though—I always assumed that my general anxiety around evaluations would be my biggest stumbling block as a writer. As I’ve gone along, though, I’m discovering that I’m…ok with criticism. More than that, actually. Even though I still get nervous as anything, I also crave it. Editorial criticism, anyway. Reviews are a different topic; let’s save them for another day. I had two larger critiques come in recently: one for the first half of my Interactive Text-Based Online Game (hereinafter codenamed “The Game”) and one for my first Stonecoast packet. 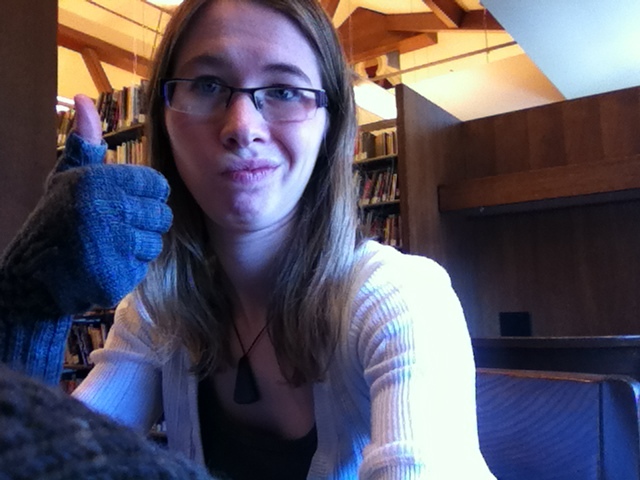 By the time this post goes live, I will have already Skyped with my mentor about her comments on said packet. That’s it? I’m not missing an extra page of critique? Because really, those are good things to know. Frankly, if an editor ever said that a piece was perfect and there was nothing to change, I’d get very nervous. There’s always something to change. Also, it’s never about you. That’s the piece that I seemed to have learned, almost by accident. It’s that ability to step back and look objectively at a piece and say, “Yes. I see where this doesn’t work. Ok.” No different than someone saying, “Hey, one leg of that chair is a bit longer than the others.” Are you going to sit there on a wobbly chair denying it, or are you going to wobble for a minute, testing it, and then pull out the saw? Of course, there are times when you whip out the measuring tape and realize, no, you’re right. Sometimes that happens. You just have to be sure. Caveat here: I’ve been lucky as a writer, in that all my editors and workshop members have mastered that balance of being respectful and kind and also not pulling punches. Personal attacks in critiques are not ok. I’ve never had that happen, but they kind of defeat the critique’s main purpose: making the work better. Remember, it’s not about you. That goes both ways. What would I do, but to fill it again? What would you do if the cows ate the clover? What would I do, only set it again?